When using Google Hangout for meetings, I noticed that we tend to wait for the hangout link before we proceed with entering our virtual meeting space. I tested and modified the instructions from the Learning and Leading with Technology article and thought it would be good to share out with you. In the edit event mode, click on "Add a video call". Invite others via your calendar invite to your meeting. 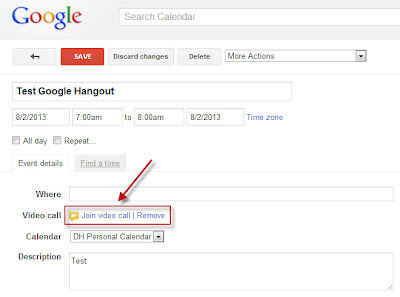 When you click back into the event, you will notice a revised link "join a video call. 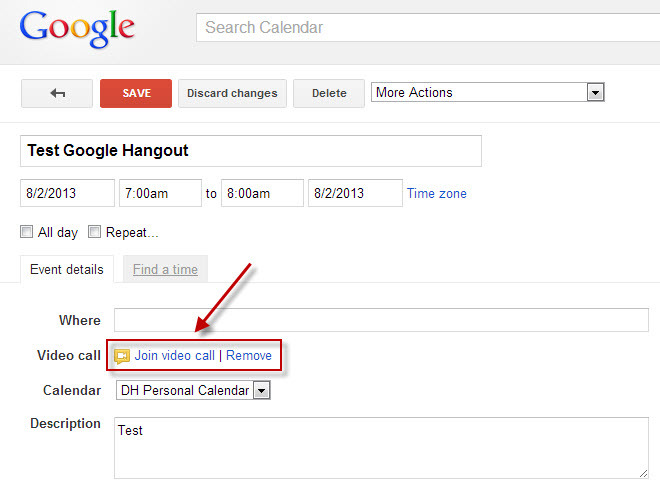 Simply click and you'll be transferred to your Google Hangout space.